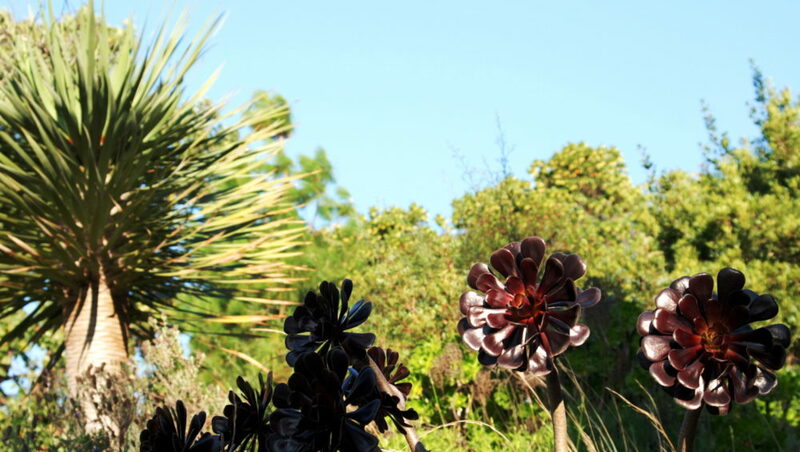 The Canary Islands Garden is the first garden to be explored during a visit to the Domaine du Rayol. 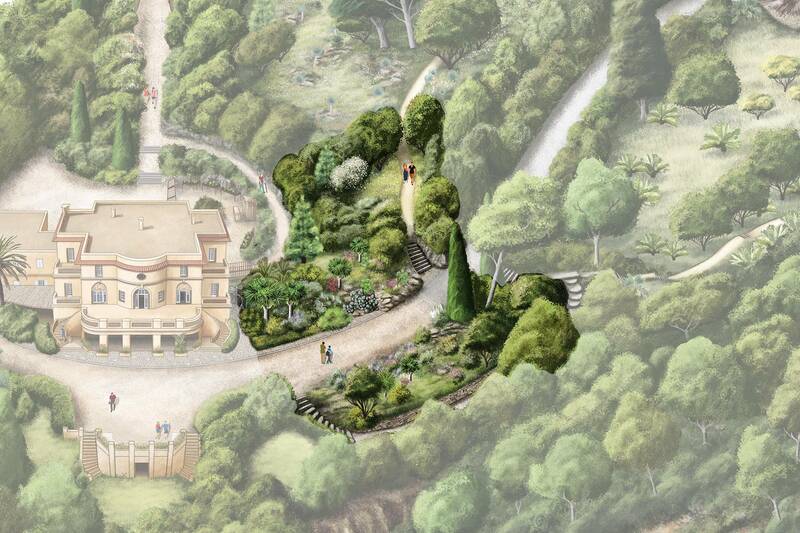 It is the garden that unveils the diversity of the Mediterranean climate. First of all, the coastal scrub, known as Malpaís: this is the arid tier located at sea level, a mineral landscape subjected to strong sunshine where the main plants to be found are spurges. Then comes the second landscape evoked – the thermaphilic grove, related to the Mediterranean tier in the Canary Islands. Big Dragon trees dominate this landscape. Finally, there is the Pinar, a high-altitude landscape, where the Canary Islands pine dominates. This last landscape is very resistant to fire, following which seedlings start to grow on the charred trunks. Rock roses are also present here. The Canary Islands enjoy a mild climate all year round. Owing to the gentle and humid trade winds, they were spared from the glaciations and have preserved a flora which is a relic of the Tertiary eras. This explains the giant dimensions of many of the plants in the Canary Islands. Examples of this are the giant asparagus, Asparagus pastorianus, and also Sonchus congestus, similar to the dandelion, which can grow up to 1.5 m high and forms wood at its base. 02. The Canary Islands Garden in front of the "Hôtel de la Mer"
Between summer and the rest of the year, the Canary Islands Garden changes its appearance. 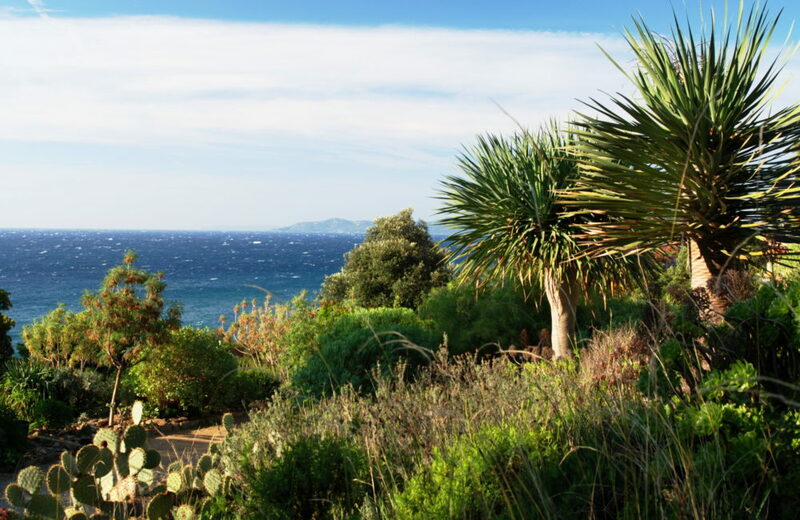 To withstand the hot and dry summers of the Mediterranean climate, many plants become dormant. They then use different strategies to protect themselves from the drought, for example by hiding in the soil or losing their leaves. Lastly, the plants in this plot have proved to enjoy moving around. Echiums, Spurges, Dragon trees, and Marcetellas spontaneously reseed themselves all over the place. 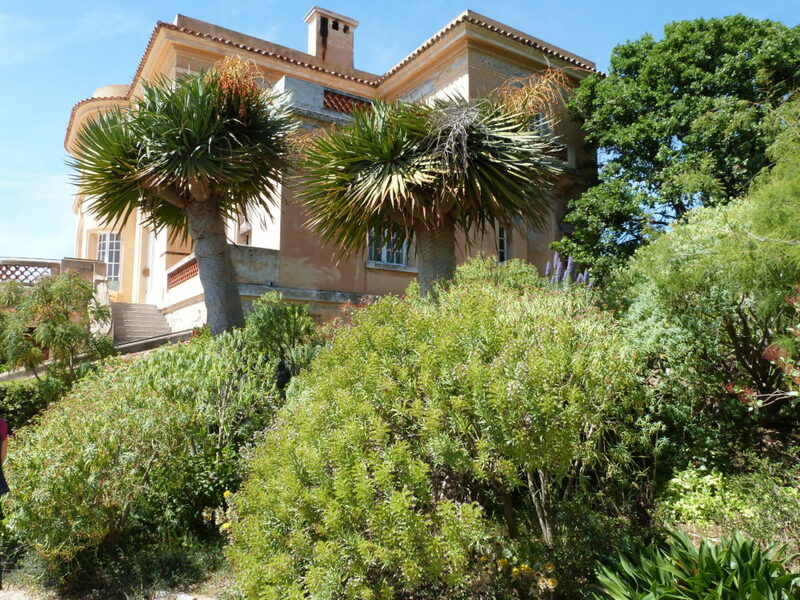 The Domaine du Rayol’s gardeners encourage this movement of the vegetation. They only cut wilted flowers very late on to allow the seeds to form and disperse.